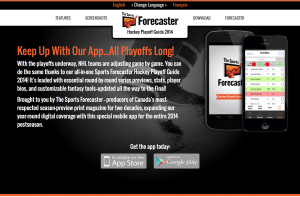 Hockey Playoff Guide 2014 | NetFunctional Inc. Built for both Android and iOS, allowed users to keep up-to-date with their favourite NHL teams during the 2014 playoffs. 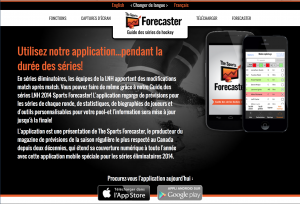 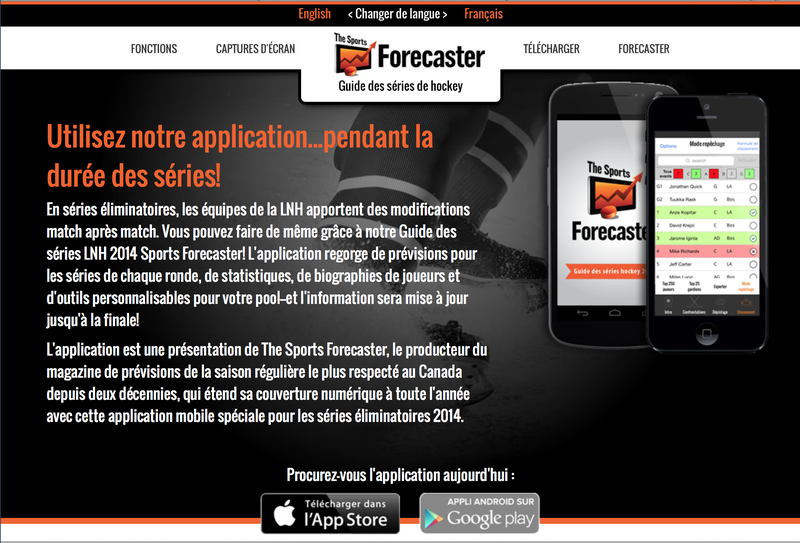 The app data was provided by The Sports Forecaster and available in both English and French.